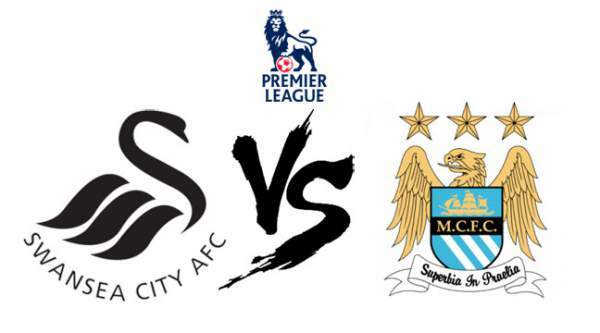 Today we have ManchesterCity hosting Swansea at the Etihad Stadium in Manchester. Man City have recently been able to make through to the knockout stages in the Champions League with two other English teams, Chelsea and Arsenal but Manchester United failed to qualify for the knockout stages as they finished third in their group. Talking about SwanseaCity, they are currently 15th on the table with 14 points, one below Chelsea and one above Norwich City. 12th December 2015 at 20:30 IST. Man City played Stoke City at the Britannia Stadium the last time they played in the league and they were not able to overcome Stoke on a cold night, which a lot of the teams have found difficult to do against Stoke at their home. ManchesterCity lost by 0-2 with very early goals by Stoke, the first one was scored by Marko Arnautovic in the 7th minute, assisted by Shaqiri, then Stoke were 2-0 up in the 15th minute and this time again the Shaqiri-Arnautovic combination was there to score and gave their side required lead to win the match. Swansea City have lost four and drawn on in their last five games and are in a very poor form. They played to the league leaders Leicester City and lost by 0-3 at the Liberty Stadium. Riyad Mahrez was the hattrick hero this time as he scored three in the 5th, 22nd and 67th minute to give his side the 0-3 lead and Leicester went on to win the match. Hart, Sagna, Demichellis, Otamendi, Kolarov, Fernando, Fernandinho, De Bruyne, Silva, Sterling, Bony. Fabianski, Naughton, Bartley, Williams, Taylor, Britton, Ki, Routledge, Sigurdsson, Ayew, Gomis. City are high in confidence and this will be easy for them. Return here after the match for result, video highlights, full scorecard and much more. Don’t forget to share.